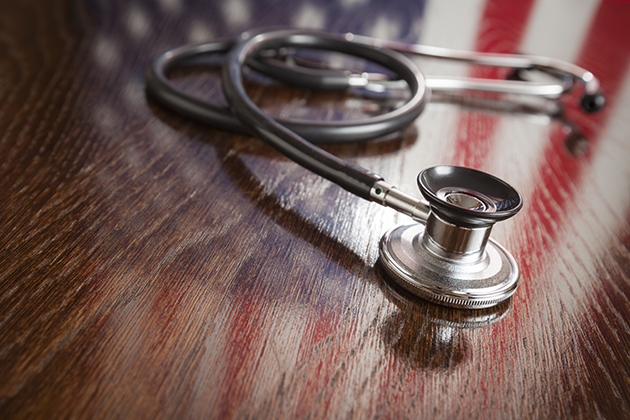 Healthcare consumers and providers may not always speak of politics and healthcare in the same breath; however, these two powerful cultural and societal forces are often inextricably linked in multifaceted ways. For healthcare providers who want to have an impact in this regard, understanding politics and the political nature of medicine and patient care is paramount. When we consider the cross-pollination of healthcare and politics, we need look no further than the ongoing arguments, disagreements, and activism related to the Affordable Care Act (ACA). Created under the administration of President Barack Obama, the ACA continues to be a lightning rod on both sides of the political aisle. While persistently overt attempts to eradicate or undermine the ACA have mostly gone underground since the 2018 political sea change in the U.S. Congress, many can attest that the current administration has continued to work covertly in this regard. Whether you agree with the reality of the ACA or not, its place in American society remains firm, especially for those who love it or loathe it. Medicare, Medicaid, Social Security, and other programs related to the health and well-being of Americans are frequently under some form of threat when the political winds shift direction. How we as a country respond to such rancor depends upon our relative positions regarding these so-called "entitlements." A large swath of Americans may not be aware of the fact that many healthcare providers serve in local, state, and federal governments in a variety of positions. According to Advisory.com, 17 nurses and physicians were elected to Congress in the 2018 mid-term election cycle. Nurse Lauren Underwood, for example, is the first African-American woman to represent Illinois’ Chicago-based 14th District, and Jeff Van Drew is a dentist newly representing New Jersey’s 2nd District. Other more well-known members of Congress include Bernice Johnson (a former psychiatric nurse), Karen Bass (yet another nurse turned politician), and Raul Ruiz, a California-based ED physician. These and others bring their training and knowledge to the table, not to mention an insider’s understanding of the larger healthcare system and its intrinsic challenges and successes. As far as local and state politics, there’s little doubt that medical professionals sit on city councils, school boards, electoral commissions, and in state houses around the country. They are likely also accompanied by numerous colleagues who are teachers, ranchers, attorneys, social workers, business owners, and all manner of professionals who choose to serve their communities in this particular way. There is indeed precedence for healthcare workers to run for office, and our communities benefit from these individuals and the multifaceted expertise they proffer. Becoming a published author of books related to healthcare delivery, quality, etc. Healthcare provider activism need not be limited to marching in the streets or protesting, although nonviolent civil disobedience is a cornerstone of the political freedoms enjoyed in the United States and other countries where speech and assembly are generally protected. Any healthcare worker who feels the call to action can engage on whatever level is comfortable and appropriate. There is no rulebook instructing medical providers on how, why, where, and when to engage in political discourse. Although some employers may discourage open political debate or their staff members appearing on the news or in blogs, podcasts, or articles that may be construed as opinionated or partisan, many healthcare providers do indeed engage in such activities. Politics and healthcare are permanently entwined, despite some who may turn a blind eye to this fact. Whereas our society can at times appear heavily divided into silos, these two powerful and influential silos certainly overlap in profound ways. No matter how a nurse, physical therapist, social worker, or dietitian may feel about the political landscape, there is always room for those who wish to speak their peace on salient and timely conversations of great import to citizens, communities, states, the nation, and the world at large.